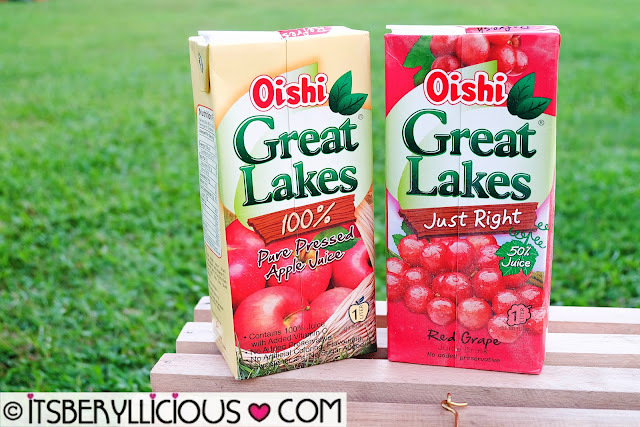 Oishi Great Lakes Pure Pressed Apple and Just Right Red Grape for a Great Day! Want to hear something great? 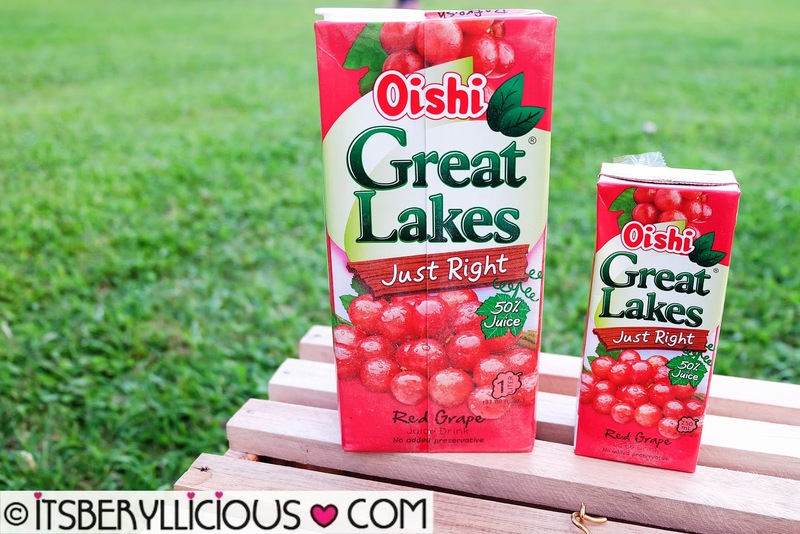 Oishi Great Lakes, brings us two new flavors, in addition to their a line of natural fruit and vegetable juices. Just like the original flavors, the new Pure Pressed Apple and Just Right Red Grape, are made with pure and wholesome goodness. 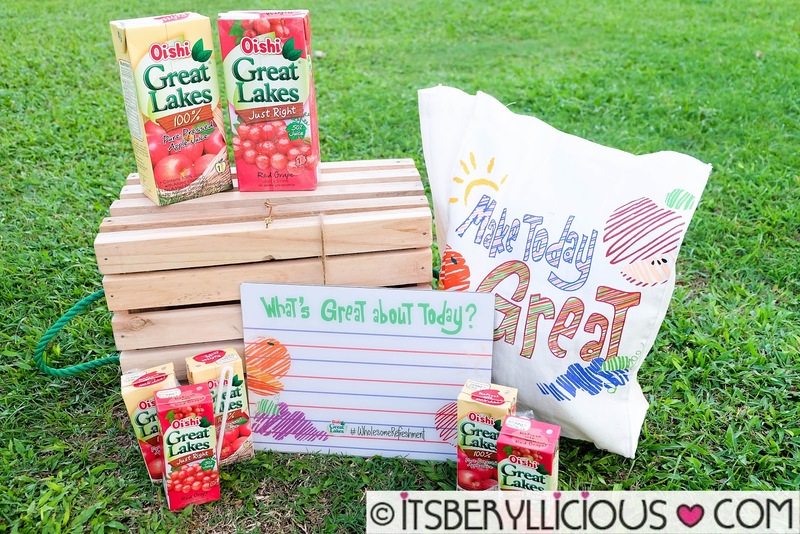 Great Lakes is all about natural- that means no artificial coloring, flavors, and sweeteners are added. Aside from their naturally beneficial properties, the Great Lakes juices have a clean, refreshing taste that is not too sweet, nor too bitter as is expected in natural fruit juice. 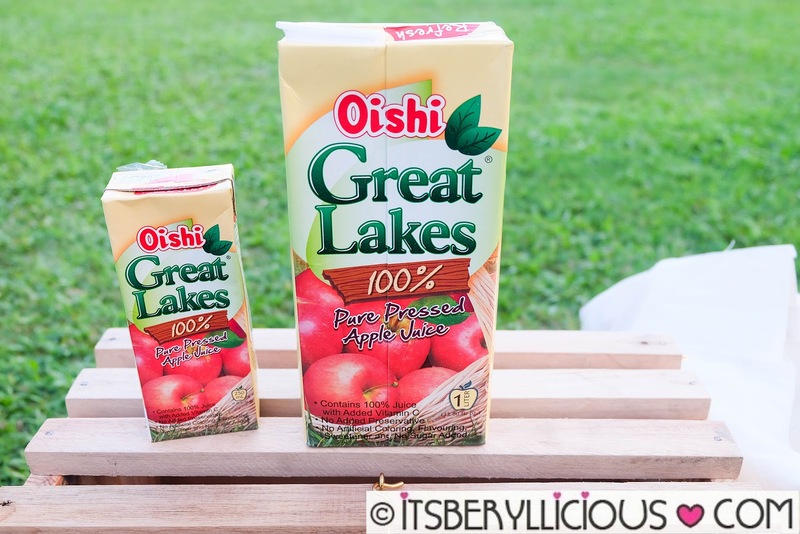 Great Lakes Pure Pressed Apple is made from 100% apple juice. The cloudiness in color is caused by the natural fiber in apples, thus imparting a different taste than your regular apple juice. On the other hand, Just Right Red Grape, has the right amount of natural grape juice, with sweet and luscious taste that is "just right".